Alberstons registered dietitian Molly Tevis shares three stress-free and flavorful recipes for the grill that will not disappoint at any of your upcoming summer festivities. BOISE — It's time to fire up the grill whether you're heading to a summer cookout or relishing in the warmer weather on a weeknight. Albertsons registered dietitian Molly Tevis shares three stress-free and flavorful recipes for the grill that will not disappoint at any of your upcoming summer festivities. 1. Place 2 cups each of the lettuce greens in two salad bowls. Arrange half of the avocado slices on top of the greens as desired. 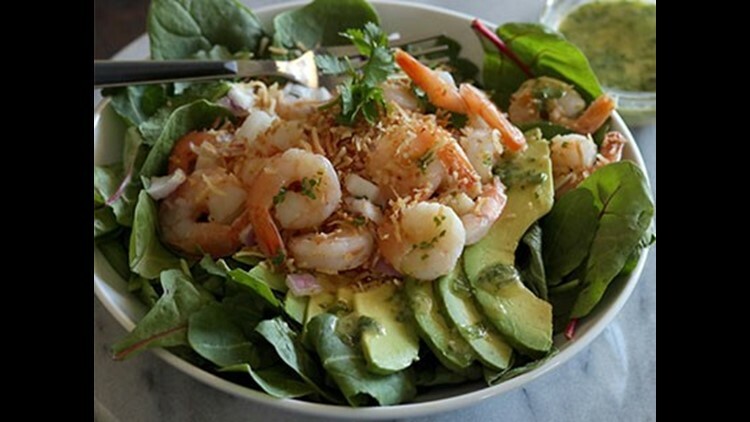 Spoon half of the shrimp in the center of each salad bowl. 2. In a small bowl, toss red onion with coconut together then sprinkle half of the mixture over the shrimp in each bowl. 3. For vinaigrette, add all the ingredients to a small food processor or blender and pulse briefly to blend. Drizzle 1 ½ tablespoons over each salad and add more, if desired. 1. Preheat grill to medium heat (375º-425º). Brush avocados lightly with olive oil. Place flesh side down onto grill, cooking 3-4 minutes. 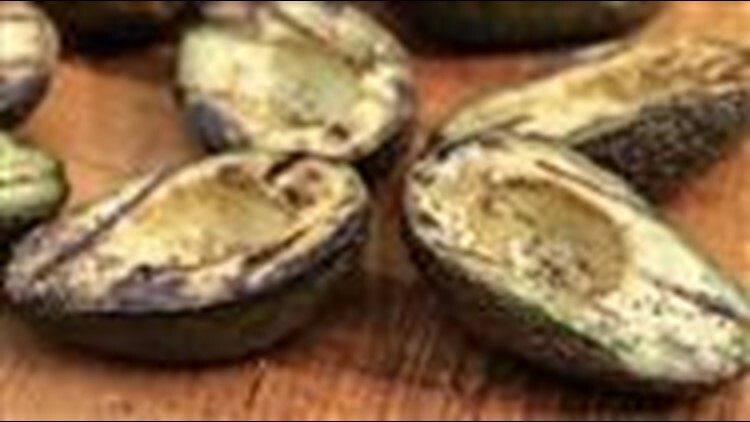 Avocados should have a good char on the flesh, but not be burned. 2. Remove from grill and season with freshly ground black pepper. 1. Preheat grill to medium (375º-425º). Slice peaches into two halves and gently remove pit. Lay the halves, flesh side up, on a cutting board or plate. Brush the top side lightly with coconut oil. 2. Place each half onto grill, flesh side down. 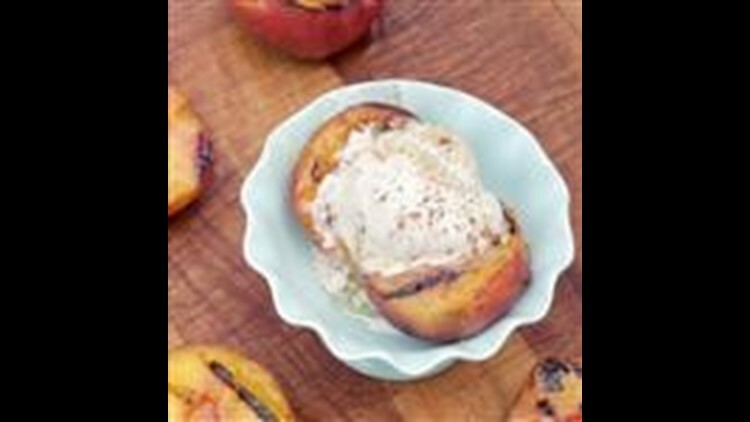 Cook 5-6 minutes, until peaches are soft and have good grill marks. Remove from grill. 3. To serve, place two in a serving bowl, top with a scoop of ice cream, a drizzle of honey and a sprinkle of cinnamon.